Boys & Girls ages 6-11 will compete separately against their peers in punting, passing & place kicking. FREE competition. 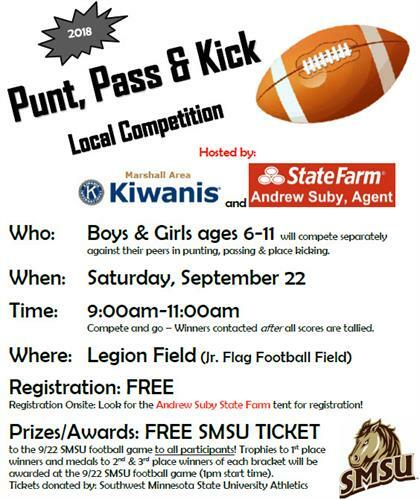 FREE SMSU TICKET to the 9/22 SMSU football game to all participants! Trophies to 1st place winners and medals to 2nd & 3rd place winners of each bracket will be awarded at the 9/22 SMSU football game (1pm start time).